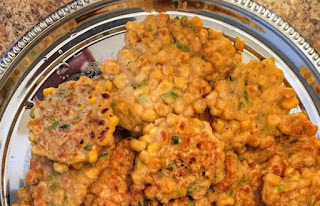 Cooking for Krishna - Indonesian Corn Fritters ~ The Toronto Hare Krishna Temple! 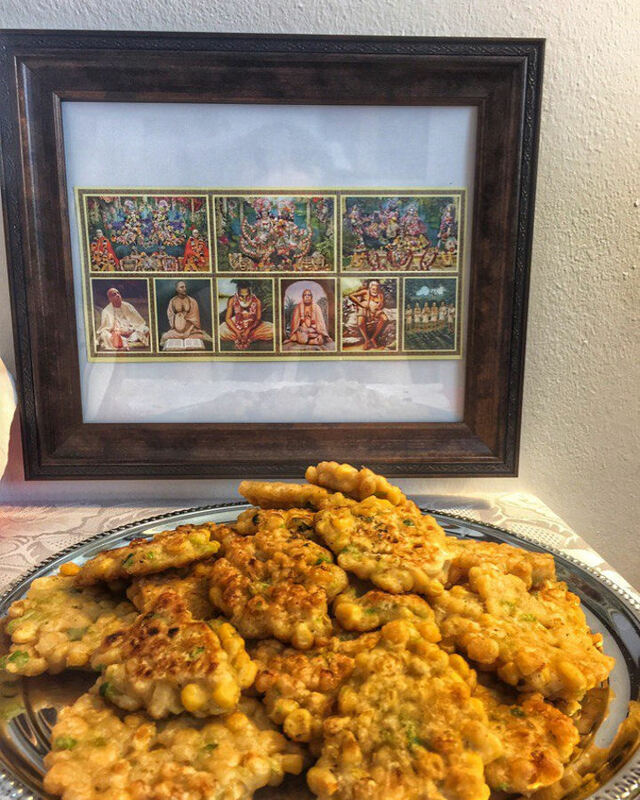 The Toronto Hare Krishna Temple is starting a new online cooking series called "Cooking for Krishna" wherein delectable dishes from famous Hare Krishna cookbooks will be lovingly prepared and shown in a step-by-step fashion. This series is presented by one of our very nice devotees of our Toronto Hare Krishna community, Lyudmila Mataji. We hope you enjoy! Please leave your comments below! Today's recipe is from the famous Hare Krishna Cookbook, "Cooking with Kurma" by Kurma Dasa. 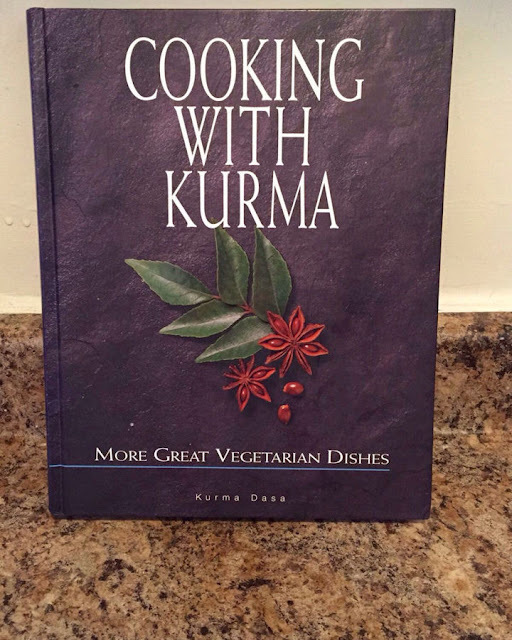 You can pick up your copy of this amazing book at the temple! 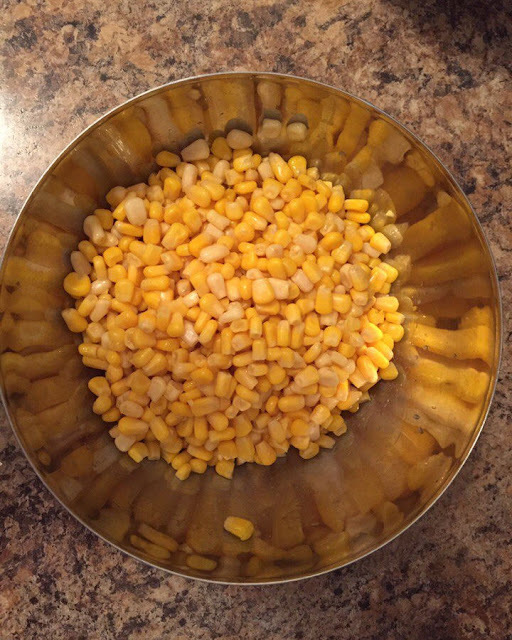 Chop or crush the corn kernels to form a mixture of whole and semi-crushed pieces. 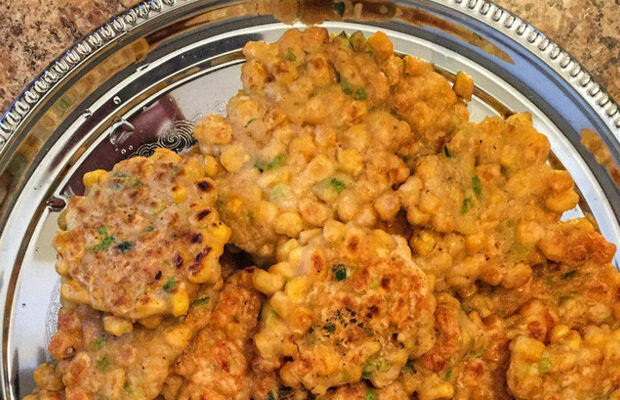 Combine the flour, rice flour, baking powder, salt, coriander powder, sugar, cayenne and yellow asafetida powder in a large bowl. 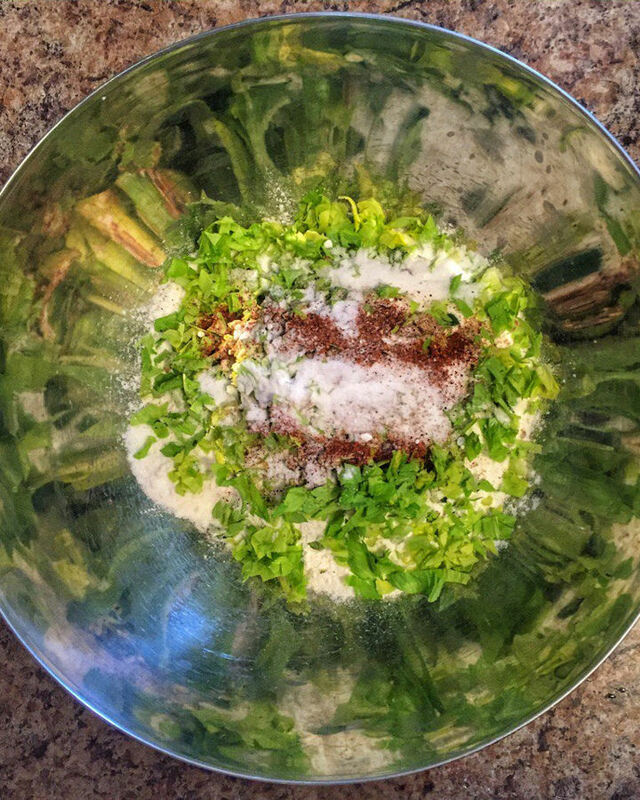 Add three-quarters of the water to the bowl of flour and spices, and whisk it to form a very thick batter. 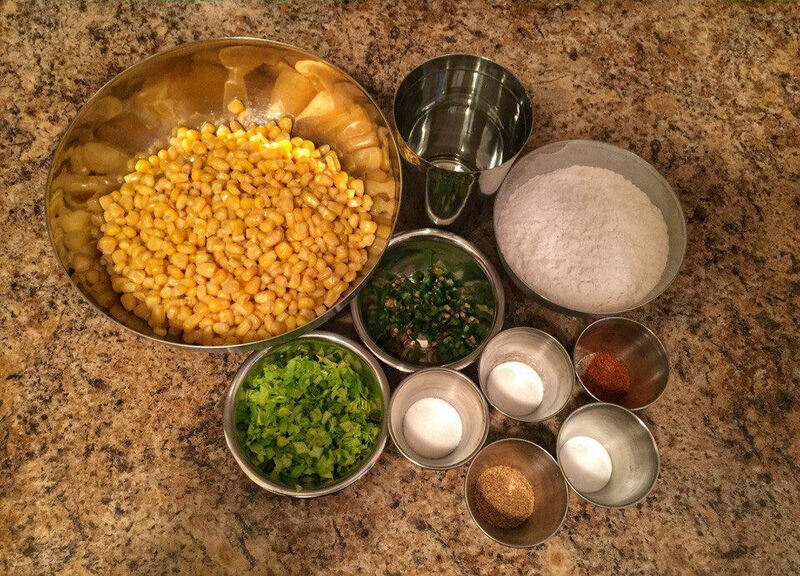 Fold in the corn, the nut powder, the celery and the chilies. 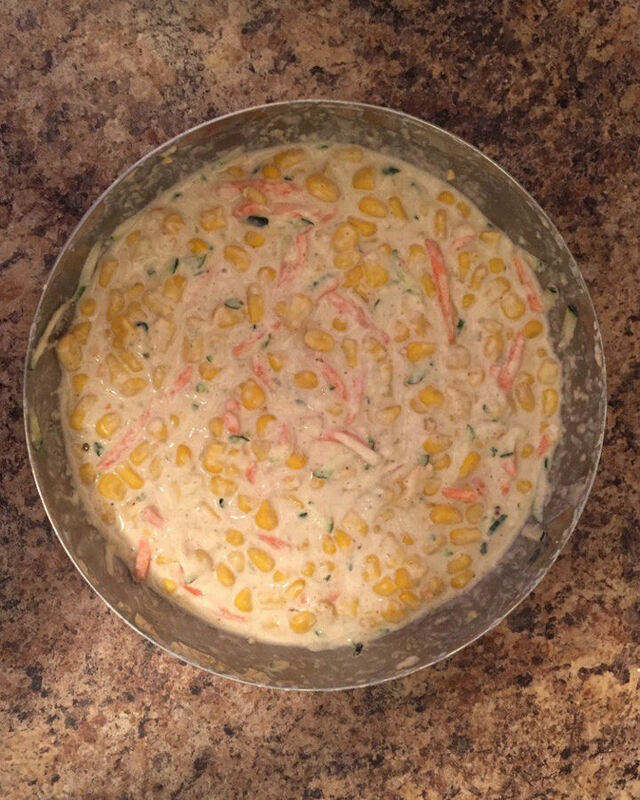 Adjust the consistency with extra water if required, to form a thick but "spoonable" batter. Place oil in 22.5 cm (9-inch) frying pan to a depth of 1.25 cm (½- inch) over moderate heat. 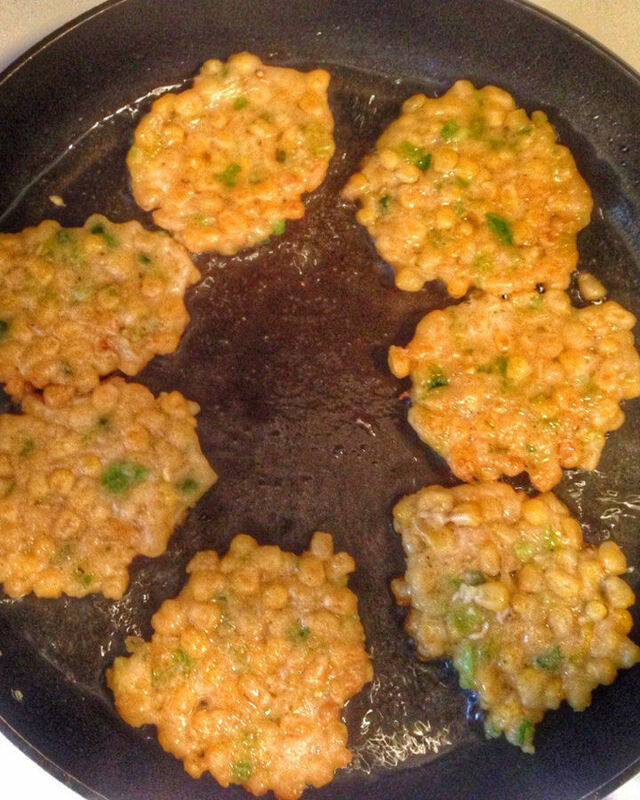 When the oil is fairly hot, carefully spoon in 6-8 heaped tablespoons of butter, flattening them into circular fritters. Fry for 3-4 minutes or until the undersides of the fritters are golden brown. 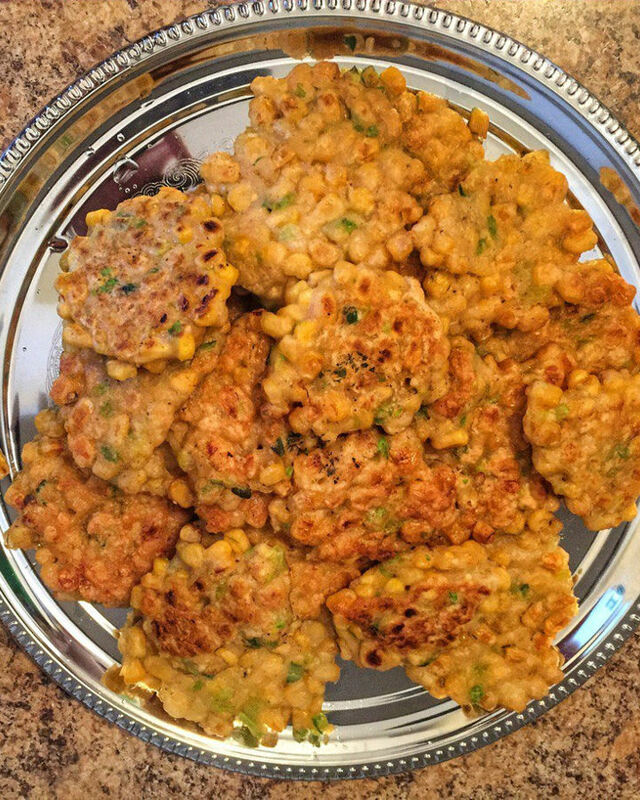 Turn the fritters over with kitchen tongs and fry them until the other side is also golden. Remove and place on absorbent paper towels to dry.